Nintendo's much loved mascot Super Mario has starred in some of the best games across all the company's game consoles since his inception in 1985 on the NES. The Nintendo Gamecube, first released in 2002, is no exception - some of the most entertaining, varied titles on the system you can thank Mario and his legacy for. Known as Super Mario Strikers in the US, Mario Smash Football is a fun little sports package that has a variety of positives and negatives. It's nowhere near as complex as the sport that inspires it; which is a no brainer for a Mario title, and indeed yields it's own charm. There's no referee, the pitch is smaller, the teams are smaller, and we have no infamous offside rules; you can violently slide tackle and ram your foes into a deadly electric fence all without as much as a yellow card. With controversial referee decisions instigating tons of player and fan abuse, it's no wonder he preferred to stay out of this violent madness. The gameplay includes Mario trademarks of items and special moves to make the experience all the more chaotic; super strikes can be performed by your team captain and unleash devastating power if done correctly, also giving you two goals in the process. There's some severe difficulty spikes, rendering the AI unrealistically fast and almost impossible to beat at higher difficulties (especially the out of place, stupid Super Team), and I myself prefer to switch all the items and special moves off, but this is still an appealing title that's especially fun in multiplayer tournaments. The Mario Party series reached it's tenth installment just last year, and thirteenth if you include the portable instalments. Evidently, things are slowly going downhill, with many losing interest from a critical and commercial perspective. 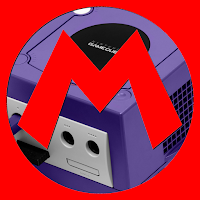 Back in 2004, Mario Party 4 became the first entry to the series to be on a next gen system, with it's predecessors being exclusive to the Nintendo 64. In the long run, while far from a masterpiece, what Mario Party 4 lacks in terms of true depth it makes up for with it's addictive multiplayer modes. The game allows up to 4 players to take part in lengthy board games, as is standard for the series, where characters can compete in teams or in an all out rivalry. Everyone rolls the dice to move spaces, the type of space you land affecting the outcome of your turn, and well over 40 minigames are featured to bridge the gap between turns. The minigames themselves are creative and great fun, and while some of them don't meet their true potential, they all add up to a great multiplayer experience. The game simply isn't fun in single player, however, thanks to an unavoidable lack of involvement and AI that are absolutely dreadful in every way, even when set to their hardest difficulty. That aside, when you've got some buddies to game with, this is certainly a harmless and entertaining (albeit slightly dated) little package to get stuck into. As a successor to the universally adored Super Mario 64, Super Mario Sunshine was always going to have some trouble finding new ways to innovate an already beautifully established formula. The path Nintendo chose to take was original and creative, and whilst it didn't please everyone, it certainly makes for some engrossing platform gaming. Mario dons a small water device dubbed FLUDD, which allows him to spray water to defeat enemies and solve puzzles; FLUDD also comes with numerous other nozzles that allow Mario to briefly hover, launch upward, and burst into a high speed dash. 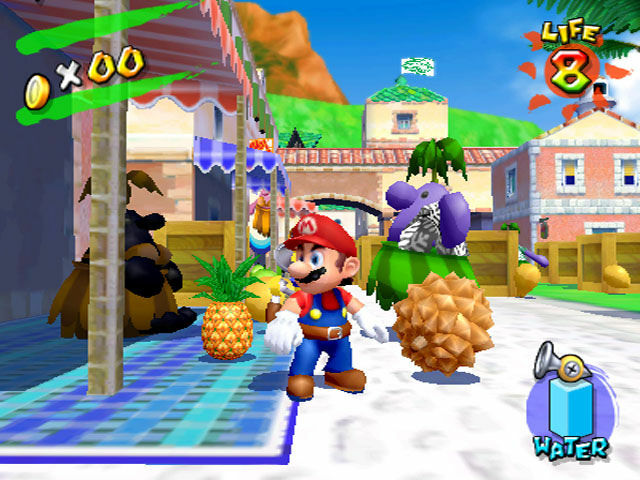 The game differs from the aesthetics of other Mario games by taking place on Isle Delfino, a vacation resort far away from the Mushroom Kingdom, which allows the creators to come up with all sorts of fresh locales, from sandy beaches to vibrant theme parks to bustling harbours. The landscapes are spacious and full of depth, making exploration a fun pastime itself to break from the main quest. This all adds up to create a challenging, aesthetically fantastic, and thoughtfully designed experience, and certainly another fine entry to the Mario canon and undoubtedly one of the Gamecube's best titles. 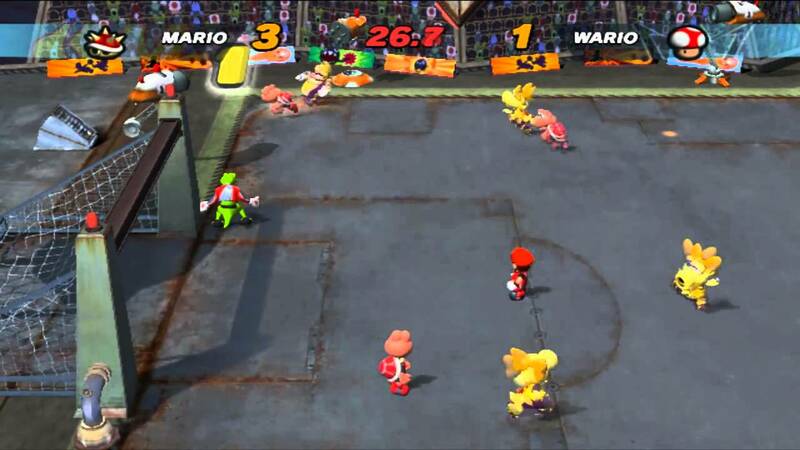 The Mario sports titles have covered an array of events, and Mario Power Tennis is the series' second visit to the classic racquet based competition, after Mario Tennis for the Nintendo 64. The premise is simple enough - just tennis, played on vibrant courts that adopt all sorts of aesthetics from Mario's rich history, from the Mushroom Kingdom to Bowser's sinister castle. The gameplay structure is easy to get to grips with, and thanks to a simple control setup and helpful visual guides, it becomes very accessible to newcomers - however, there's still plenty of challenge to test you, especially in the harder cup battles. They key "gimmick", for a lack of a better term, is the addition of Power Smash special moves - after a series of combos and shots are performed flawlessly, your racquet is charged up and can be used to unleash a special shot that is themed specifically to each character, that also vary based on whether the ball is in front of you or on the other side of the court. For example, Mario unleashes a huge hammer and slams the ball viciously if the ball is close, whilst Luigi whips out his classic vacuum and pulls the ball to safety if it is about to speed out of play. They can be turned off for those who want a simple, raw challenge, but they still add up to some chaotic matches, and don't feel as cheap as the super strikes in Smash Football. It's not perfect, but for the most part, Mario Power Tennis is an approachable and entertaining game for gamers of any age and experience. Easily my favourite video game of all time, Paper Mario: The Thousand Year-Door is the sequel to the original Paper Mario which hit the Nintendo 64 in 2000. The Thousand Year-Door sees Mario travelling to the derelict town of Rogueport after Princess Peach finds a map that could lead to a magical treasure. However, when a band of alien villains known as the X-Nauts kidnap Peach for a sinister purpose, it's up to Mario, along with a host of new companions he meets, to rescue her, whilst pursuing the goal of collecting the Crystal Stars, which house the power to control the Thousand Year-Door, in order to contain the evil within it. As is the case with the original, Paper Mario 2 is much different to other Mario games not just on a gameplay level, but on a visual one. As this all takes place outside the Mushroom Kingdom, the designers have crafted fresh ideas for each locale (similar to Sunshine), developing various themes which include floating, upbeat cities, monochrome forests, and eerie, mysterious towns. The gameplay is both easy to grasp and extremely complex, with a return to turn based battles that require plenty of skill to master, and allow gamers to utilise a variety of tactics, special moves, and items to conquer their enemies. The paper style builds upon the original with the improved Gamecube graphics, allowing a stronger focus on 3D enemies, all cleverly modelled with paper structures, to make for an improved visual pallette. The gameplay brings back the partner system from the previous game as well, bringing a host of loveable characters to the already beautiful narrative, which is told with wit and depth - extremely different from the relatively simple storylines most Mario games adopt. Put it simply, this is one of the best games to date, and one that I'll always treasure for years to come. Man, talking about this makes me wants to play it again. I'll wrap it up here guys, cos I gotta play some Paper Mario.